Note: You can scan the above QR code by pointing your smart phone camera to it and reach the link. 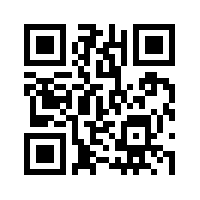 Be sure to install a QR code scanner application on the phone.. Welcome to the April 2015 edition of the IPC e-newsletter. The IPC e newsletter is distributed free to more than 4000 people around the world. IPC is now also on Twitter. People who were evacuated from their homes on Saturday were allowed to return home following a chemical leak at the Kronos plant in Varennes, Que., just southeast of Montreal. Officials first learned of the leak at 10:15 a.m. ET on Saturday. They swiftly evacuated homes and factories within one kilometre of the plant on Marie-Victorin (Highway 132), and closed the highway in both directions. A confinement order was also issued for people in the vicinity but living outside of the security perimeter. Indian paint maker Asian Paints has decided to buy Ethiopia-based Kadisco Paint and Adhesive Industry. Asian Paints will spend $18.95 million to buy a 51 per cent share in the company. Visen Industries Ltd, the largest Indian manufacturer of polymer emulsions for paints and coatings, textiles and adhesives, will start commercial manufacturing of its wide product range from Hamriyah Free Zone. Claimed to be the single largest polymer emulsion plant in the region, with a capacity of 120,000 metric tons per annum. The new Dh187 million ($51 million) was inaugurated by Sheikh Khaled Bin Abdullah Bin Sultan Al Qasimi, Chairman of Department of Seaports & Customs, Hamriyah Free Zone Authority and Sharjah Airport International Free Zone. While the combined production capacity of four Indian plants in Gujarath, Jammu and Kashmir, Maharashtra and Chennai is equal to 120,000 metric tons per annum, the new plant in HMZ will produce an equal quantity. Thursday, March 19, 2015 - Islamabad—The Competition Commission of Pakistan (CCP) has imposing a penalty of Rs. 1 million on a paint company, Jotun Pakistan (Pvt) Limited, for violation of Section 10 of the Competition Act, 2010, while promoting its products. A statement issued by the Commission here Wednesday said that order was passed by a bench comprising Mueen Batlay, Dr. Shahzad Ansar and Ikram Ul Haque Qureshi, Members CCP. Demand for coated fabrics in the US is projected to advance 3.8 percent per year to 725 million square yards in 2018, an acceleration from sluggish gains posted during the 2008 to 2013 period. Rebounding construction expenditures will provide opportunities for coated fabrics used in products that are closely tied to building activity, such as wall coverings, furniture, and awnings and canopies. BEX, Incorporated, Ann Arbor, MI, (www.bex.com), a leading manufacturer of industrial spray nozzles will display its wide array of nozzles in booth 232 at Powder Coating Show, May 5-7, 2015 in Louisville. Among its many nozzle products, the company will feature its series of BEX K-Ball Zip Tip nozzle assemblies. The K-Ball nozzles are high quality nozzle systems made of corrosion resistant composite and heavy-duty stainless steel spring clip are available with a variety of spray balls, in various spray patterns, flow rates and spray angles. They are designed to allow for fast and easy maintenances as well as installation and removal. Click here for video or click the play button. Nearly 300 million people experience the world without color every day. Neil Harbisson listens to colors.